ï»¿ TzVirus is a "Pusher!" Thread: TzVirus is a "Pusher!" 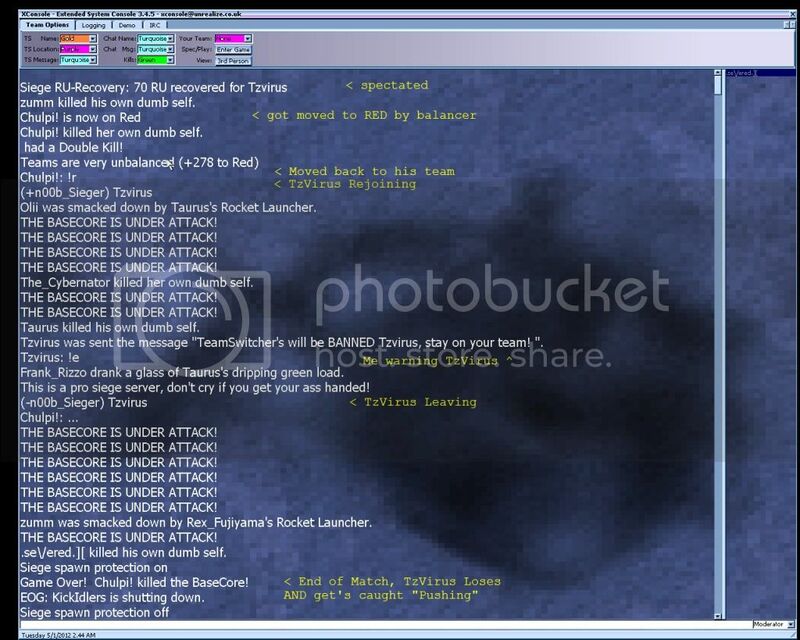 As the posted 1600x1280 screen shot will show to the jury, clearly the defendant also known as TzVirus went from actively playing a match, directly to spectate mode, paused (for someone to BALANCE the teams), caused a 3rd party to become involved (switched), and then return to the match as a player. I, Chulpi! (aka:ChoChos) did balance the teams after the defendant went to spec mode. Thereby suffered the painful burden of being "Pushed" to the BLUE Team just before our RED Team was about to Take Victory over Blue. Fortunately Mr. Chulpi! was able to return to his Red Team and no injury from the defendant actions was incurred. As per Server Moderator protocol, I did warn the defendant prior to taking any action to resolve this intusion on Mr. Chulpi! However, the Defendant did not respond to the charges I presented him and proceeded to leave the server without comment. Prosecution Rests: Call your next witness. Sorry, but half my team was not playing so I tried to balance the uneven teams. We were outnumbered and players on my team were not playing. I don't know the command to kick idlers. Sorry again.